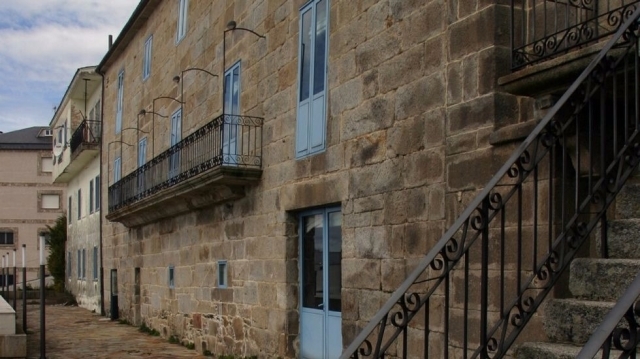 After leaving Lubián, a town of Zamora with good connections, and ascending the steep port of A Canda, the silver route enters Galicia on a road that combines valley with mountains, forests with meadows and includes very varied sections. Pilgrims will face extreme temperatures. In summer this area can reach up to 35 degrees and, in winter the thermometer can drop to negative values. This stage of the journey begins just before reaching A Canda, a small rural hamlet of less than 30 inhabitants situated at 1,165 meters in altitude. Arriving in A Vilavella, O Pereiro, after some stretches that can be very muddy, to reach O Cañizo, A Gudiña, where pilgrims will find diverse accommodation and dining establishments and will pass, on the right hand side, the bus and train station. Departing in the direction of the locations of Viana do Bolo and A Rúa. This stage is not the most desirable for cyclists. Along the route there are uneven stone paths which, despite serving to make the Way more physically attractive they also make it more dangerous. The national road may be the ideal solution. 1 reviews Distance to Santiago: 219 km. 1 reviews Distance to Santiago: 205 km.